Are you planning on going on a road trip this summer? The start of summer is almost here, so here’s how to prepare and ready your car for your trip! Did you know that 74% of Americans taking a summer vacation plan on driving to their destination? Whether you’re taking a trip to a nearby beach, or driving across the country, here are some essential tips to ensure that you and your family stay safe on the road. The vehicle that you are going to drive on your trip needs to be in tiptop shape. You should first check your tire pressure and that your wiper blades are in working order, and also verify that your car has all of its proper fluid levels. Â Running out of air conditioning coolant on a hot day would be quite unpleasant! You’ll also want to double-check that all of your lights are working, including headlights, brake lights, and turn signals. If you’re going to tow a trailer, ensure all of the connections are hooked up properly. Car crashes are the number one killer of children 1 to 12 years old in the United States. Protect your children by putting them in the right car seat for their age and size. You should reevaluate their current car seat, get it inspected before you head out. When packing your vehicle, the car can get filled up pretty quickly. Make sure to spread out the items that you pack so that the weight is evenly distributed throughout your vehicle. It’s easy to overpack, but it’s essential that you have a clear view while driving. Before heading out on the road, be sure you have a proper line of sight through your rear-view mirror, side mirrors, and windows so you can see traffic. 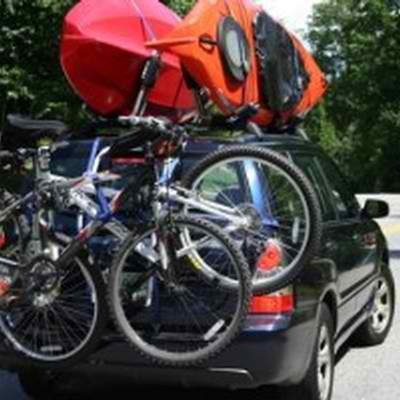 To free up space in the car, consider purchasing a roof rack. When putting it on, make sure that you follow the user manual’s instructions carefully. Be sure to look up how much weight the roof rack can hold as well. When traveling long distances, it’s important to take frequent breaks to help maintain your focus while driving, and avoid fatigue. According to the NHTSA, driving while drowsy is a contributing factor in 100,000 accidents every year. Throughout your trip, schedule frequent breaks along the way to eat, drink, taking in the scenery, and snapping a few family pictures. As always, it is better to be safe than sorry. When you’re packing, make sure to include an emergency kit with at least a flashlight, blanket, first-aid kit, and a supply of water and snacks. With these summer road trip preparation and safety tips, we hope you and your family are now ready to enjoy your vacation safely. If you have any questions about your auto insurance policy, call Tracy-Driscoll at 860-589-3434 to speak with an agent today!